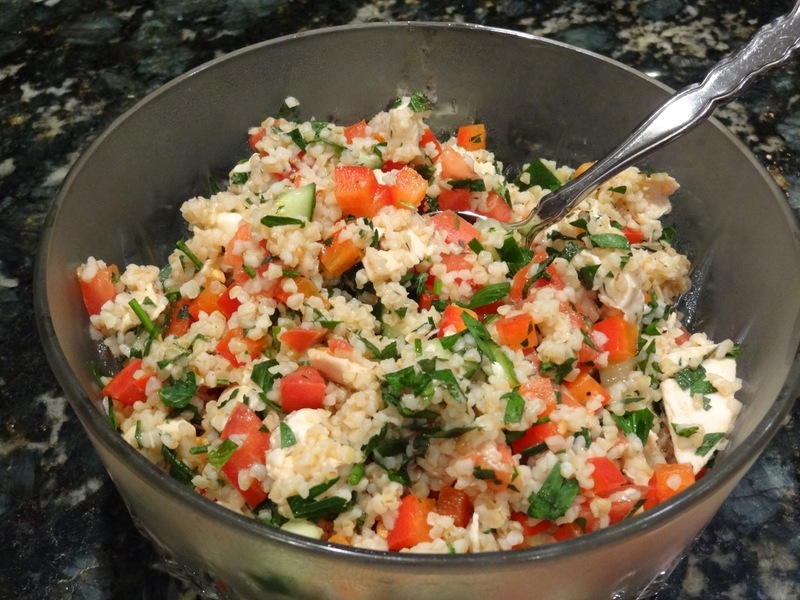 Anyone ever heard of tabbouleh? 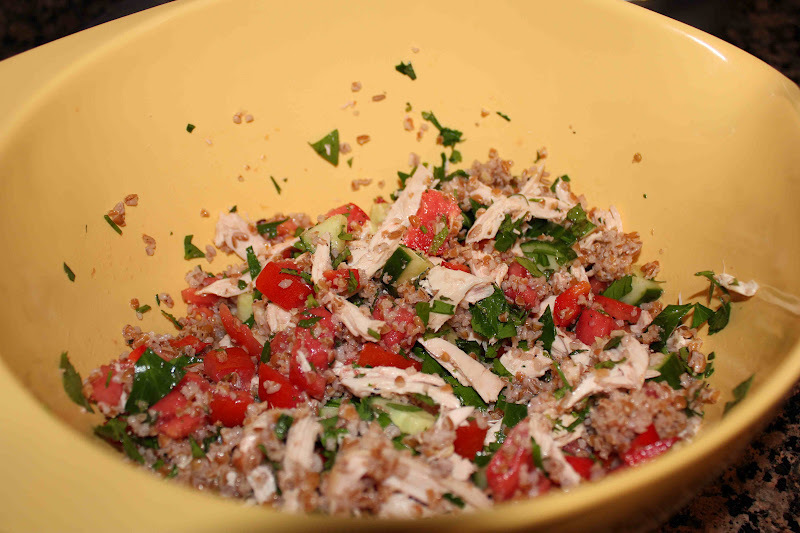 If not, here’s your chance to not only learn what’s in this traditional Arabic salad, but also a chance to make it. Before I get into the healthful benefits and how good it tastes, you need to know how to pronounce it. I’ve seen several pronunciations, but the most common is this: TAB-BOO-LAY. 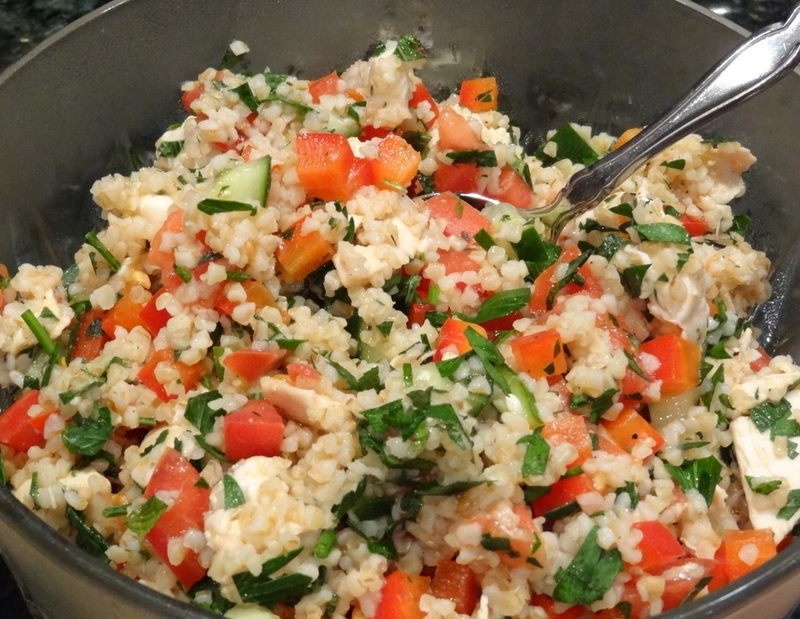 Now that you got that out of the way, it’s time to make tabbouleh! Why? This Lebanese salad, typically consisting of cracked wheat, tomatoes, parsley, mint, lemon juice, and olive oil has all kinds of delicious flavors packed together, but without all those pesky calories. A full 1 1/4-cup serving is only 150 calories and packs over 11 grams of protein and 4.5 grams of fiber. Bulgar, an ingredient in this salad that you may not have heard of, is very similar to white rice. The only difference… it has more fiber and protein, a lower glycemic index, and higher levels of most vitamins and minerals. 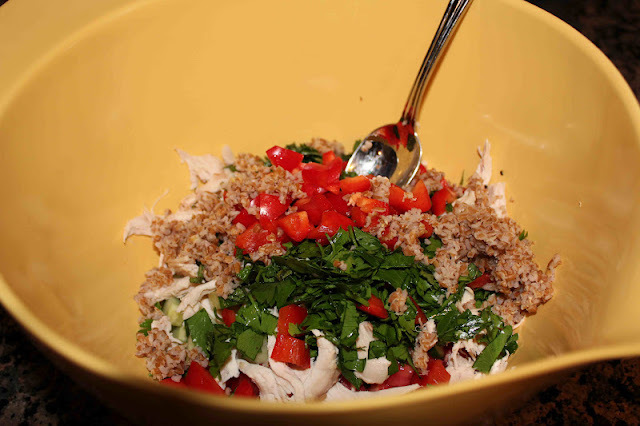 In addition, summer is right around the corner, and if you live in Texas, like me, you’ll want a refreshing side dish or light lunch idea for when it’s 100+ degrees F outside. If you’re making the mixture a few hours or more in advance, store the cucumber and tomato separately and add them close to serving time to keep the salad at its best. For a savory Middle-East light lunch, serve this salad with hummus and pita chips. Add Parmesan or Feta cheese for more flavor. 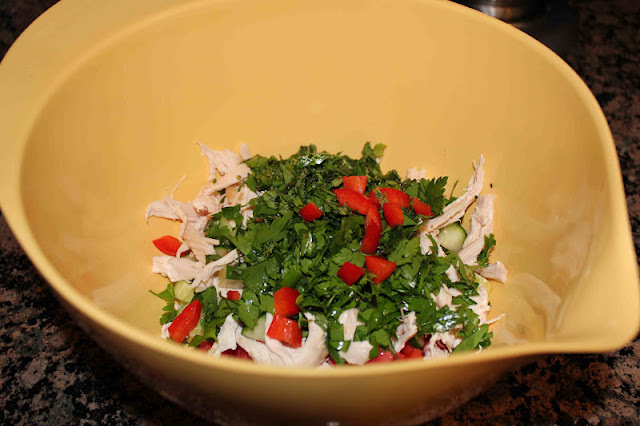 Chop tomatoes, parsley, mint, chicken, bell pepper and cucumber and toss. 1. Cook bulgar per directions on package. Cool. 2. Add tomatoes and remaining ingredients; toss well.